Looking for experts in Apple Mac Repairs Brisbane? Less Stress Computer Services are specialists in all forms of Mac repairs. Computers that are slow to boot up or freeze when browsing can be frustrating for users. If your Mac computer runs slowly, it could be that it lacks memory and needs upgrading. Each Apple Mac product requires certain modules of memory for optimum function. Our technicians can help find the right memory that is compatible with your Mac and upgrade your system if needed. Whenever you experience any issue with your Apple Mac, Less Stress is your go-to for Mac repairs. If there’s a problem with the motherboard we will diagnose and fix it if possible, rather than replace it. Apple products are very sensitive and costly, so why trust just any tech to handle yours? We have in-house trained Apple Mac repair technicians who guarantee high quality repairs. Let the experts from Less Stress take away the stress and worries of your Mac repairs. Apple products, especially Mac computers, are without a doubt beautiful systems to use but everything wears out over time. When it is new, it runs fast but slows as time goes by. To restore your Mac back to its former speed you may need upgrading, system optimisation or disk repair. 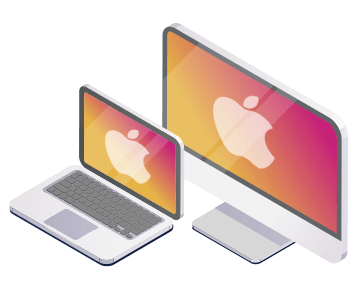 To enhance the speed or performance of your Mac, we run a full system optimisation by removing all programs that are not useful and enable only the apps that are for your everyday use. We will also diagnose any issues with the operating system and remove any malicious virus and spyware or Trojan horses that may be hindering your Mac performance. 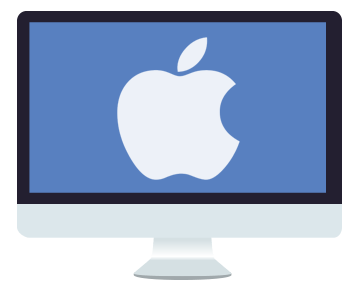 Whether you need MacBook Air, MacBook Pro, Mac Pro, Mac Mini or iMac repair, we can help. Our Apple repair technicians follow a rigorous diagnostic and testing procedure, with state-of-the-art tools to provide top quality Apple Mac repairs. Although Apple Mac computers can be expensive to buy, their repair isn’t necessarily costly as well. Less Stress makes it easy by offering reliable and affordable Apple Mac repairs for both individuals and offices. Well-trained technicians, best quality service and a positive customer care experience are what make Less Stress the ideal choice for Apple Mac repairs. Our Apple Mac repair technicians are experienced in fixing any computer problem and take pride in putting a smile on your face with a quality repair at the end of the day. Using the latest Macintosh repair tools, we can resolve and fine-tune your Mac to meet your requirements. Contact Us today for your reliable and affordable Apple Mac repairs.